The conversation started because she thought we were gay. 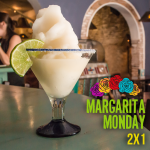 Two For One Margaritas at Fridas. I was sitting at a bar chatting with a cute American girl that was getting drunk after 30 days of being sober on a yoga retreat. The two of us were sharing mint margaritas, which was a wise decision considering we were taking advantage of the two-for-one special. An American gent approached and sat on the opposite end of the bar, menu in hand. Sensing competition, my alpha male instincts immediately kicked in and I asked her if she wanted to move the conversation to someplace else. We finished our drinks and after some serious consideration, she decided it was best for her to turn in and do some drunk packing instead. “Nice try buddy”. The yank yelled from across the bar. “She was too young anyway”. I replied. “Why are you two sitting so far apart?!”. Drunk, she proceeded to introduce herself to us and ask where we are from. Her eyes immediately lit up when I told her I was Canadian. She responded in French and we continued the conversation in a language the American couldn’t understand. Boom! I’ve got this one in the bag. I learned that she spent seven months living in Montreal and that she wanted someone to practice French with. Knowing I already had plans tomorrow, I agreed to have a coffee date with her to continue the language lesson. We exchanged numbers and parted ways. “She was drunk. There is no way she is going to remember our conversation, let alone want to meet for coffee”, I thought to my self. 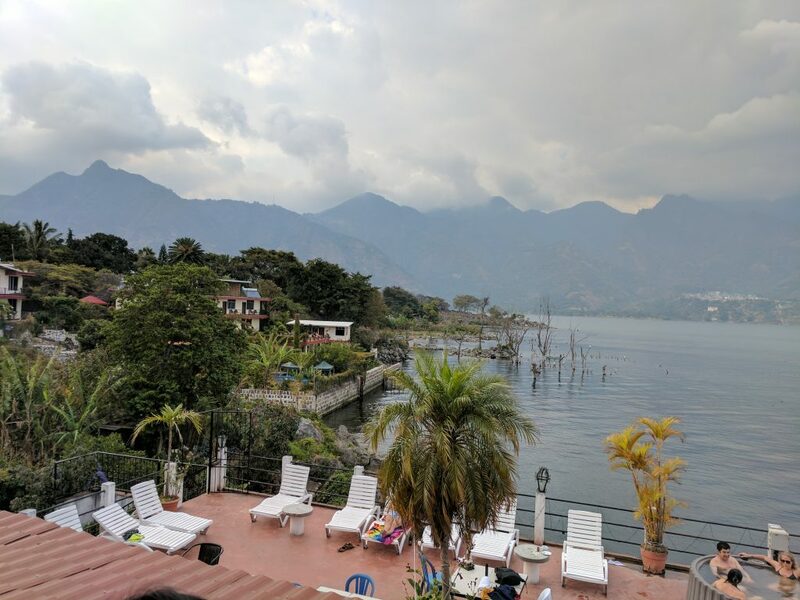 Sticking to my original plan, I packed up my stuff for the day trip to Lake Atitlán. It wasn’t until 15 minutes outside of town did I get a text message from Karin. She wants to have that coffee date! I explained the situation to her and asked if she wanted to join me on the road trip to the lake. We could practice speaking French in the car. In exchange she could be my tour guide. Turns out San Pedro is one of her favourite places and I didn’t need to twist her arm. She agreed and I turned the car around to pick her up. The tensions eased up quickly during the two hour drive to the lake. 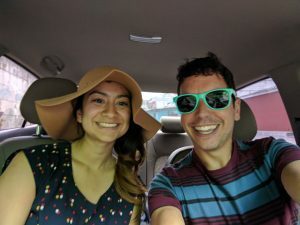 We got to know each other and laughed all the way to Panajachel, where we parked the car. “Let me do the talking” Karin suggested. She was trying to avoid us having to pay Gringo prices. I promised her that we would be back in Antigua around 7 or 8pm, so we both agreed that we would return to the car before the lot closed at 5:30pm. I payed the $25GTQ and got a receipt in return. 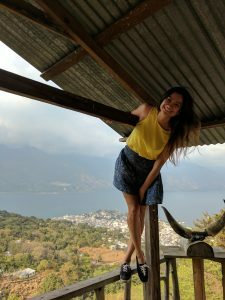 I was excited to see a new part of Guatemala and Karin was excited to return to one of her favourite places. We hop on the boat and head west along the lake to San Pedro. We had a great time in San Pedro. Karins awesome personality and great sense of humour made her the best tour guide I could find in Guatemala. We walked up to a lookout point where I was able to get an amazing view of the lake. Feeling the time pressure to get back to the boat in time, we order a burger to go and pound back some beers. Eating on the run we make our way to the dock where Karin asks someone in Spanish when the next boat departed for Panajachel. I see the look on her face go from happy and excitable to horror and worry. She pulls me aside and says: “The next boat isn’t until 5:30, after the parking lot closes!”. I can see panic on her face. I quickly put on the charm and reply: “Don’t worry! Let your friends know about the situation and that you’re ok”. We chatted about our possible options, all of which included spending an unplanned night at the lake. After the situation had time to soak, her face lit up again and she said: “I have a friend who works at a hotel here in San Pedro. Maybe he can help us out!”. The view from our hotel, hot tubs barely in view.